The admission will cause consternation among the kingdom's international allies who had been pushing for a swift return to democracy following the military's takeover in May. Prime Minister Prayut Chan-O-Cha had previously said his government hoped to hold fresh polls around October 2015, once the drafting of a new constitution was completed. 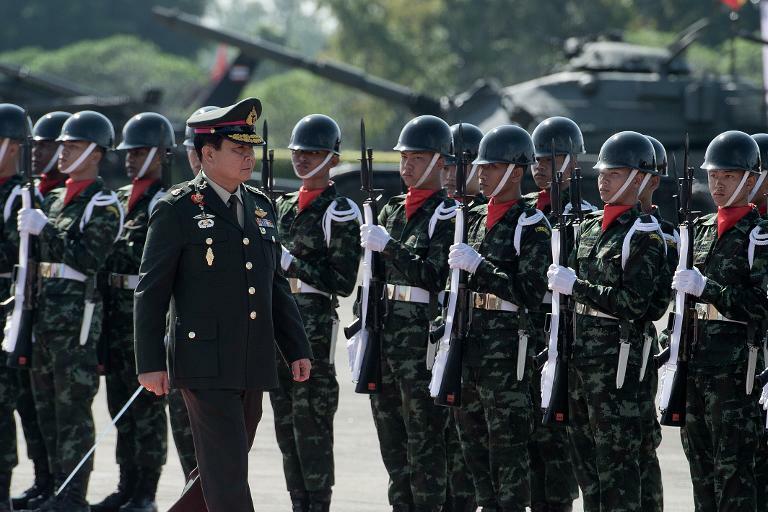 General Prawit Wongsuwon, the deputy prime minister and defence minister, said a 2016 election date was now more likely. "As announced by the prime minister, it would take about one year. But, from my feeling, I think it may take, maybe, a year and a half," he told the British broadcaster. Martial law - imposed by the army two days before the coup - bans political gatherings, allows the detention of dissidents for up to seven days without charge, and permits trials in a military court. Junta chief and premier Prayut - who was army chief when he staged the May 22 coup - has said the takeover was necessary to end months of political unrest that left nearly 30 people dead. But critics accuse the military of using the protests as an excuse for a power grab. The military say the changes are needed to rid the kingdom of corruption and close the nation's festering political divide which has seen years of street protests and military coups. Critics dismiss the process as a naked attempt to dilute the influence of billionaire ex-premier Thaksin Shinawatra who is adored by poor rural voters - particularly in the north - but loathed by much of the military establishment and the country's Bangkok-based royalist elite. Opponents say the committee tasked with writing the new constitution is stacked with anti-Thaksin figures seeking to erase his legacy rather than craft policies to end years of political turmoil.